Documentaries on humanitarian crises have the ability to focus attention, influence hearts, and one hopes—help increase support and aid for the regions and lives of those personally affected by tragedy and conflict around the world. There have been many films on the global refugee and Syrian crisis over the last year, four of which have gone on to become 2017 Oscar nominees. While these films will likely garner a lot of media attention this month, there are numerous other excellent films also worthy of your recognition and time. 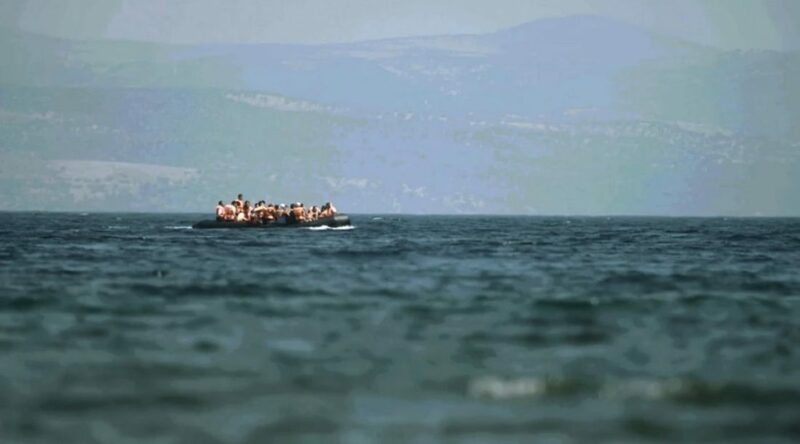 Directed by Richard Wyllie and produced by Samantha Brown, “Five Days on Lesvos” premiered at the Raindance Film Festival last September and gives viewers a first-hand look at the experience of refugees and volunteers on the picturesque Greek Island of Lesvos over the course of five days in August 2015. This hour-long film will break your heart, infuriate you with the current shortcomings of humanity, and inspire you to believe in the power of goodness through the selfless acts of volunteers seeking to ease the hardships of those risking it all for the chance to live a free and better life in Europe. Scenes of rafts packed with children and adults landing on the shore of Lesvos, elated at making the journey there alive, are profoundly moving and help highlight the severity and horror of the worlds they have escaped from. On the safety of the beach, viewers meet one of the film’s protagonists, volunteer Eric Kempson, a shaggy-haired British artist turned refugee lifesaver, who spends his days gazing through binoculars at the unforgiving sea waiting for rafts of people who may need help. If you live in the U.S., you may have seen Kempson featured on PBS “NewsHour” for his continued volunteer efforts and pro-refugee advocacy. Throughout “Five Days on Lesvos,” Kempson proves to be an admirable figure, a regular guy taking a stand for decency and assisting those who arrive in profound need of compassion. Of scenes that will make you mad, are those featuring holidaymakers carrying out their vacations as if what’s happening around them is no big deal, like they’ve managed to create a mental, perhaps even dehumanizing, barrier between their lives and the lives of the sea-worn refugees milling about in camps nearby with their belongings. The tourists sip drinks. They gawk. They ride the horrendously named “Fun Train.” They snap pictures of beauty. They snap pictures of suffering. It is disgusting and it is shameful. In one memorable scene, the “Fun Train” goes past the camp while the film’s other protagonist, a nineteen-year-old Dutch volunteer named Nicholaas, provides directions to a Syrian refugee, who moments earlier was describing Syria as “unbearable” and expressing his bewilderment as to why the world hasn’t done more to help his home country. When worlds collide, however impermanently due to war or disaster, one question always arises: What do we do now? It is a question that lingers throughout “Five Days on Lesvos.” From the refugees trying to figure out how to get from point A to point B to the heroic volunteers trying to figure out what more they can do to help. It is a question that successfully transmits to viewers off-screen. What do you do now that you’ve seen what’s happening? Do you detach yourself from the situation like some of the tourists riding the train or do you find ways to make a difference? We all know that times aren’t ideal. Yet, as we see from the actions of those in the film who have put their lives on hold to assist others trying to survive, there are still people in the world with ideal character and values. People who see everyone as important and deserving of care and much needed empathy. In their compassion, there is hope. In the courage and perseverance of the refugees in “Five Days on Lesvos” and all others fleeing harm around the world, there is hope. The answer to what one does after seeing a film like “Five Days on Lesvos” is really quite simple. We keep helping. We stand up for others who need stood up for. We follow the lead of their hope. And we never give up on the belief that small personal acts of kindness and love can make a lasting difference in a world that is often too needlessly tough to survive in. For more information on “Five Days on Lesvos,” visit: fivedaysonlesvos.com and consider checking out the Boat Refugee Foundation for ways you can help refugees in Greece and beyond.